Everyone smokes for a reason. And every smoker has a different reason for smoking. So every smoker needs to be treated differently. I can get anyone to give up for a day, a week, a month. The real challenge with Stop Smoking is not the stopping, that is easy. It's the not starting again that is hard. If you can give up for two days, then the physical part is over, everything after that is in your mind. 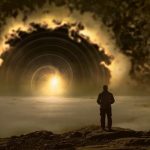 This section describes some stop smoking hypnosis cases and how they were helped to stop. I have always believed that people aren't stupid, and that people who smoke have good reasons to smoke. Understanding their reasons can make the therapy more effective. 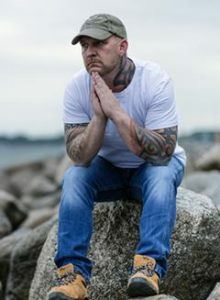 If you can find out what they are getting from smoking, what associations it has, then you can create the same feeling in hypnosis and tell them that they can have that feeling without cigarettes. Some people have always seen smoking as a form of rebellion. Girls in their teens in particular seem to resent having to be good all the time but they equally don't want to be bad. So smoking gives them a socially acceptable way of losing the 'goody-two shoes' image without doing anything too daring. Other people say that 'smoking is my vice' the one thing I allow myself to do that is bad for me. These are often people who do not drink or do anything else self destructive. They are generally model citizens, but this one thing allows them to feel they are not trying to be better than others. Another common reason is to have 'a secret'. Smoking in private gives them a feeling of being mysterious and daring and they like to think that nobody knows the real them, that they have a secret interesting life that they can keep hidden away behind the mask of conformity. Of course, the most common reason is simply to fit in. Smoking is seen as a rite of passage. You are dared to try a cigarette, and if you can get through the coughing and nausea you are accepted into the group. This doesn't only happen with teenagers. Many smokers say that they started smoking in their first job, because everyone else did it, and they wanted to fit in. 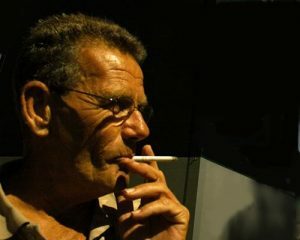 Smoking is also often the result of being accepted into a group, particularly an older group. Being offered a cigarette by some senior person is a signal that you have been accepted, that you can now join the group as a full member. To turn down the cigarette would be seen as refusing the invitation to join. There are many more reasons and I am always coming across new ones. That's one of the things that makes smokers so fascinating. Smoking is not about nicotine or addiction. The real reasons that people find it hard to give up is because they associate the smoking with some life supporting resource. Take away the smoking, and they believe that they will no longer have the resource. So their mind fights desperately to get it back. That is what cravings are, an attempt by a desperate mind to get you to reconnect to that resource. In order to end smoking you need to find out what smoking is doing for you, and fix that. Most people have no idea why they smoke. That is why they can't stop on their own. I had a smoking client last week who reminded me of the power of listening. During the data gathering part of the session I asked him what he needed from me. He said 'I need you to help me take the last step'. This was a beautiful example of a metaphor, and like all metaphors, it was not an accident, it was exactly how he thought of his problem. So I asked him what he would have, what life would be like, after he had given up smoking. This was so that I could find out exactly what images he had of his smoke free future. He described getting fit and staying healthy and having more money. When it came to designing his therapy, it was easy to incorporate these elements into the spoken imagery. I hypnotized him and led him through a series of rooms. In each room he partly completed some task. Then I led him outside and up some stairs with a curtain across the end. 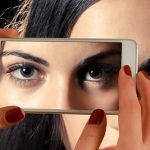 I asked him if he wanted to see past the curtain, and when I got agreement, I described a vision of seeing himself fit and healthy, wealthy and enjoying family life. Then I asked him if that was what he wanted, and if he was ready to take the last step to achieve it. I told him to take the last step into his new life and to describe what he was experiencing. He stepped across. Now he had exactly what he wanted. And that was the job done. He had crossed the threshold from being a smoker to a non smoker for life. I believe that if you listen to the client, you will learn precisely how to deal with their issues. All you then have to do is to match what you say to what they want. Barry only smokes at weekends. He is able to stop every Monday and never thinks about it all week, but on weekends he goes to the bar and then after the third beer feels compelled to join the smokers outside and lights up with them. The next day he feels bad about the smoking, and swears he won't do it again. He actually does not like smoking itself. But he likes being with the smokers, meeting new people, having something in common with strangers, feels comfortable standing outside with them, and really enjoys it. It is not the smoking he enjoys, it is the company. Probing into how he felt about meeting people, he revealed a cluster of relationship problems. He is not comfortable joining new groups, but after he has known them for days or weeks there is no problem. There are other social clues, a fear of public speaking, procrastination, always feeling like an outsider. At school he had two or three close friends, not a bunch of them. All of these things indicate that he has a defensive attitude to people, prefers to keep them at arms length, does not like people to come too close, and never invests himself with others until he knows them very well. He is not unhappy, or antisocial, or seen as strange, just a bit distant. He has always felt this way, so it does not seem usual to him. Basically he is hypervigilant: afraid of being hurt if he lets people get too close, if he lets himself be vulnerable to others. He is unable to stop smoking because smoking provided the human contact he loves. The alcohol removes the inhibition 'program' that runs in his mind all of the time. This program is very hard to remove because it gives him protection. His unconscious mind knows that and so prevents him from deleting it. He has to be kept safe: that is what the unconscious mind is for, that's what it does. This program keeps him safe from the threat of rejection and criticism, but at the same time stops him from connecting to people. The alcohol has a way of temporarily suspending the program, he can relax his vigilance, and the smoking is way of establishing a shared bond with strangers. He uses cigarettes as a way of getting to know people. So it is very hard to give up the cigarettes because they are the route to a pleasure he has no other way of getting to. This illustrates well the fact that every behaviour, no matter how bizarre or damaging, actually has a protective function. I put Barry into a light trance. I asked him, "try to recall the feeling you get when you have to speak in public". He said he felt choked, could not speak for two or three seconds and felt everybody was watching him. It was like his brain was frozen, he felt like a statue. Then he said "it is like I am in a bubble where I feel I can't do anything". I got him to develop the bubble metaphor. Exploring the bubble revealed he felt comfortable in it. It was one meter all round him. It was his space. The bubble protected him. He described his bubble as elastic, clear like glass, warm, soft and he didn't like people around it. He tried to avoid people getting too close to the bubble. I encouraged him to think about how the bubble could change. He decided it could get bigger, could be as big as the room, could cover the whole world. Further suggestions about what else could happen to the bubble, whether the bubble could divide or shrink or change shape produced nothing. Then I asked him to think about what would happen if other people could be in the bubble. This would be very uncomfortable. This wasn't the right direction either. Then he was asked if the bubble could open. Barry immediately said it could open 'like a hatch' and he could step out. Further guidance encouraged him to explore outside the bubble and he said he could move among people and get close to them and it felt OK.
Then I asked him to look at the bubble from the outside. This was my attempt to get it to change but he said it was just sitting there. Symbols that don't change spontaneously usually have a protective function of some sort. The client recognizes this and does not want to lose them. My strategy then switched to trying to change the symbol into something else. I asked Barry to think about if it could be transformed to make something useful that would still protect him. He immediately saw it shrinking, and said it was the size of a marble, and he could put it in his pocket. This meant that the bubble was now gone, and nothing was stopping him from getting close to people, and he still felt protected by the marble in his pocket. The final part of the session tested the new mind set. I led him through a visualisation of being in bar, and approaching various people and groups. He found he could do this now. I asked "what colour is this good feeling". He replied 'purple'. Together, we used the purple colour to create further visual anchors for confidence in different situations. He visualised a meeting at work, saw the room filled with purple light, and went through every step of that situation and felt no anxiety at all. I never mentioned smoking in the entire session. 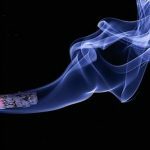 Removing the bubble that was keeping him away from forming normal relationships took away the need to use smoking to meet people, as well as improving his professional life. He no longer smokes. This was a young woman who couldn't give up. Her problem that she always wanted a smoke when drinking with friends. She said she had been able to give up a couple of times. She stopped for a year as a teenager. Then a second time for four years. But she started again when her ex-husband left. She said she smokes as a way to deal with stress. But her real problem is smoking when she goes out to socialize with friends. I got her to close her eyes. Then I ask her the question: "What comes to mind when I say the phrase 'You will never smoke another cigarette again?' ". She said she would feel a bit disappointed at not being able to socialize the way she used to. She said "when I start drinking with friends, it is like something comes over me. I start reaching for a cigarette." I always try to utilize whatever feelings the client uses. I asked "What is this something like? Some people feel it like a blanket, others like a teddy bear, some like a cloud. How does it seem to you?" She said "It is more like a cloud. A dark cloud, like a foggy dark night." I got her to develop this and she became aware that it came from the right, over her right shoulder. She said "I would like it to go away, because it makes me want to smoke." She had a clear conception of her own metaphor. My therapy method is to develop that inner feeling. While doing that the client goes into trance naturally. I asked her to imagine something inside that cloud that would change it, like a lantern, or fireworks, or something like a pin point of light. She visualized a bright light shining through it from the bottom. A blue light that was turning it white. She said that it was just sitting there, not threatening, doing nothing. Then I got her to examine it further. She said that it was full of voices of her friends urging her to stop, encouraging her to give up. I asked if she would like to move into that cloud, to try moving into that friendly cloud. She said it was like something wrapped around her supporting her. To test whether it was working, I then got her to imagine being in a bar with friends and she said she felt protected, that she didn't need to smoke to enjoy their company. She was sitting there with her eyes closed, smiling, fully immersed in the metaphor feeling, having led herself into trance without any formal induction. I finished with some direct suggestions. As a final test for successful change I did a finger lift. I asked her unconscious mind to signal to her by lifting a finger if she was a non smoker. One of her fingers moved. I told her that was her mind guaranteeing that she would never smoke again. Every smoker is different. Your own mind knows how to stop. You just need to find that right way. A lot of problem behaviour arises because of operant conditioning. This is related to the classic Pavlovian 'ring a bell and the dog salivates' type of response. It is entirely automatic and unconscious. Something happens and we learn to avoid it and we are quite unaware that the 'trigger = response' thing is happening to us. Smoking is often an automatic behavioural response. It is not actually an addiction, it is not about the substance. It is about the association between smoking and coping. Sadie desperately wants to give up smoking, but when she stops she is anxious, miserable and angry all the time. After one session of hypnosis she stopped for six days but was so agitated she had to keep doing things just to keep busy. 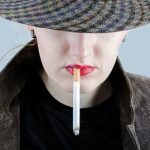 She found a forgotten stash of tobacco while cleaning out the garage and immediately rolled a cigarette even though part of her mind was repeating the hypnotic instruction 'you are a non smoker now, you don't smoke'. She logically knew she did not want the cigarette. In fact smoking it made her vomit, but still she had to continue. The origin of this type of behaviour can be very puzzling. But in this case the history of the woman allowed me to work out what was going on. She had an abused childhood, and felt that nobody loved her and felt alone all time. She ran away to LA in her teens and met this guy and started smoking and felt for the first time that somebody cared, she wasn't alone any more. The relationship broke up, but now she had smoking. She had created an association between smoking and not feeling alone. She was completely unaware of the association. And of course when I hypnotised her to give up, she felt alone again. And her mind hated it, and did everything possible to get her smoking again. For every association, your mind creates a representation that can be accessed in various ways. Once the right representation has been found, various techniques can undo the association. Sadie initially saw her problem as a red and black pulsating sort of vortex. I encouraged her to find ways to change that, until it suddenly transformed. She saw herself as a four year old, sad and lonely, being ignored by her mother. I used a Gestalt technique called Meeting the Inner Child to allow that little girl to grow up and feel loved. That therapy made a major change in Sadie's view of herself. She no longer feels alone, and she no longer needs to smoke. 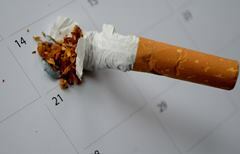 This smoker had stopped smoking for six or seven months but started again about a year ago. He said he started smoking on and off at 15 as an act of rebellion and teenage defiance. He really started more or less full time when he went to Germany to live with his father at 16. At school there he was the centre of attention as being some exotic person from the other side of the world. And because he spoke fluent English he was sought out. He also hung out with the smoking group and for eighteen months had a really good time. He had stopped smoking when he was living in Australia, after seeing a hypnotist in Sydney. He started again when he came back home to NZ and was involved in stressful family matters and everyone smoked. I surmised that his smoking was all associated with being the super star of the school, but now he is in a dysfunctional family situation. Unconsciously he was seeking to go back to that feeling of Germany every time he felt things were not going so well here. He confirmed this analysis, and I was happy that I knew why he smoked. But I still felt that the issue of starting again needed to be investigated. And it turned out that his family had a history of alcoholism, violence, lawbreaking and people who generally couldn't get on with each other. I tested for symptoms of depression and they confirmed. I explained to him how depression was partly inheritable and how it affected behavior. His feelings that things were not going right made him then plunge into self defeating habits. He agreed that that was exactly what he had done. We therefore had discovered what he was getting from smoking, and why he had started again after successfully quitting. However, there was one more twist. He said that the hypnotist in Sydney had said that if he took one cigarette, then he would start up again. I am sure the hypnotist's intentions were good. However, this had been in his mind in the period when he was just taking one cigarette from relatives but not yet smoking full on. It became a self fulfilling prophecy, and he acted on the belief that taking one meant he was hooked again. So that justified him starting to become a smoker again. It just goes to show how careful hypnotists need to be in their sessions. Even the most throwaway statement can become embedded in the client's mind and be triggered years later. Knowing his full background I could now design a session that addressed all the issues he had. I used a metaphor that suggested that he would be able to walk away from the people who were making him feel bad. Then I got him to visualize being in a group so that he was the centre of attention from everyone he knew. He stood up and made a public declaration to everyone that he had given up smoking. That way he could still get the good feelings of the group without smoking. I suggested that he was embarking on a new stage of his life and did an ideomotor convincer to reinforce that. That meant that his own mind was guaranteeing him that he would not smoke again. I also planted a suggestion to counteract the Sydney hypnotist's suggestion. My suggestion was that because he had stopped and started once, that meant that when he stopped this time he was now inoculated against ever starting again. To test it all, I used a post hypnotic suggestion. "The first thing you will do on awakening is say the words 'I don't smoke'". And that was exactly what he said. Many smokers don't have trouble stopping. They can stop OK for long periods. But then something makes them start again. This client had stopped many times. She stopped smoking for a year on two occasions. But she always started again. And even when she was stopped she still felt like a cigarette most of the time. Or rather, she felt like a cigarette when she was on her own time. She was a nurse. While she was at work she didn't smoke at all. It never crossed her mind. But as soon as she got into her car after her shift she immediately lit up. It's all about expectations. At work she was expected to be a role model, to behave according to a set or rules. And she did so. But on her own time, a different set of rules applied. I asked her "why did you start smoking again, after not smoking for a year or more?" She said "Both times it was after a huge storm. I felt that those stressed me enough to give me enough excuse to start smoking again." The real reason was much deeper. It had to do with anxiety. In fact, she has black and white thinking. Black and White thinking is an aspect of anxiety. Black and white thinking does not apply in every part of your life. But in some part of your life you have high expectations. If those expectations are not met, then you feel that there is no point in trying any more. You might as well just give up and do whatever your want, even if it is bad for you. In her job, she has high expectations of herself. She lives up to those expectations. So everything is OK. But when she is off the clock, she feels let down. She has been so good, so disciplined, and yet she doesn't feel rewarded for all that effort. So the black and white thinking kicks in. Things are not the way they should be, so self sabotage starts. She smokes. And then feels bad about smoking. A nurse should not smoke, so she has failed. Failing makes her feel bad about herself. It's not right, so another round of self sabotage starts. When she started again she had been smoke free for a year. There is no nicotine in your body at all after a few days. There was nothing there to be addicted to. So her reasons for starting again must have been psychological. In her mind the expectations had been getting worse since she stopped smoking. She had been good. Not smoked for months. And yet, she did not feel better. She had expectations that things would be better somehow after she stopped. And they weren't. So the black and white thinking nagged away at her mind. She felt cheated, unrewarded. All it needed was an excuse that other people would accept, and she could start sabotaging herself again. The big frightening storms provided that excuse. Once she had started again, the cycle of self blame, anxiety about being a failure, and circular worry all came back full force. The answer for this smoker was to deal with the anxiety. I taught her self hypnosis so that she could manage her anxiety and stop it building up. She already knows how to stop. She just needs to learn how to stop starting again.